We get it. Not everyone has a corporate budget. Maybe you're a start up just trying to expand, a teeny-tiny team of ten or you've had some unexpected expenses that have left you a little short of the mega festive budget you imagined. No fear. We've got your back. Here are seven awesome Christmas party venues that provide the wow without the big price tag. Between the British Museum and the hurly-burly of tourist London lies the Montague on the Gardens Hotel, a quirky boutique hotel with 100 individually designed bedrooms and versatile function spaces. 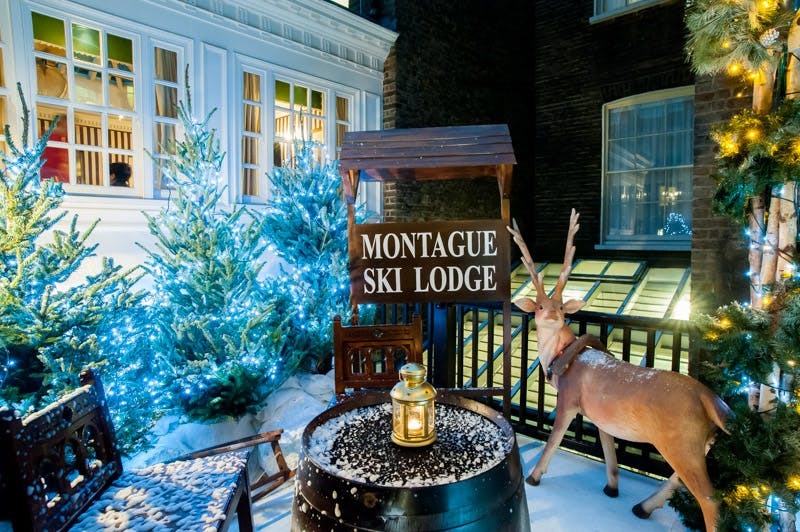 The jewel in the crown is the outdoor space that is transformed into the brilliantly festive Montague Ski Lodge at Christmas time. From mid-November to mid January the Garden Grill is completely transformed with pine trees, falling snow, snowmen and more, with a centrepiece bar serving up a selection of festive drinks and chocktails. Yum. 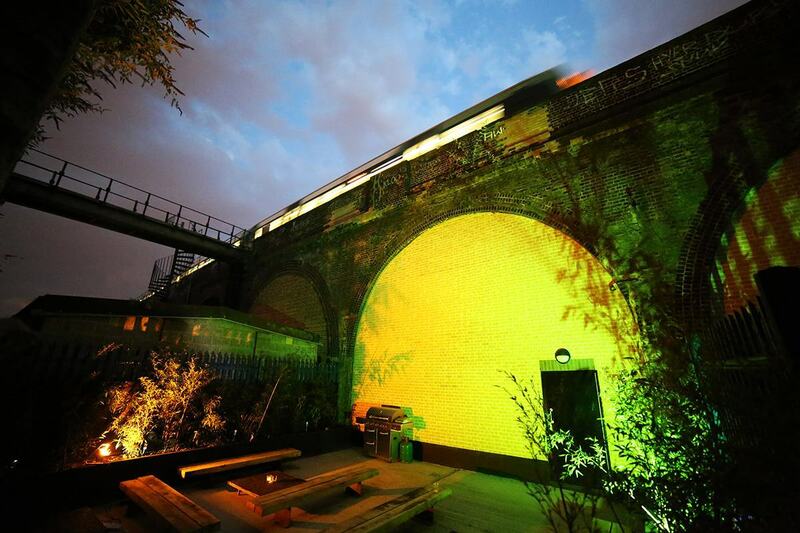 Carrying on the "venues under structures" theme, this cosy space is quirkily situated under a railway arch (Arch 19, to be specific). 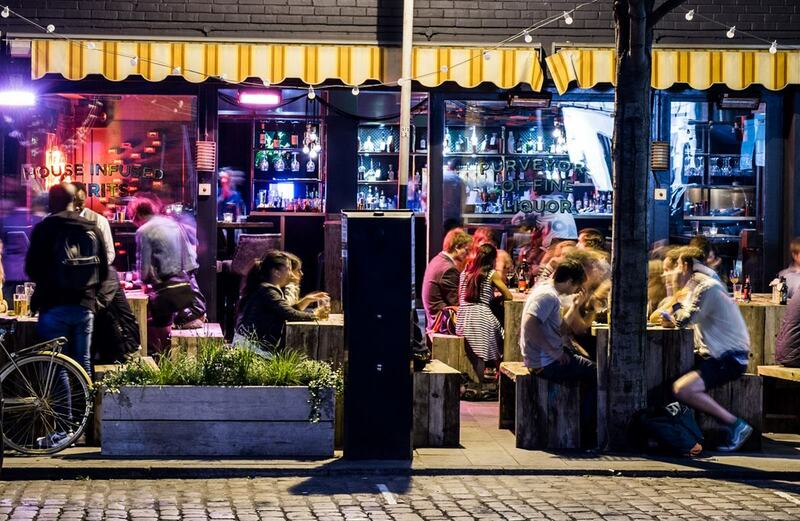 The club is really two venues in one, with an accommodating indoor space and a well-lit outdoor area, all in a peaceful and regenerated nook of South London. The flexible venue allows for outside catering and drinks, meaning Christmas festivities can be laid out in your own preferred way, and more importantly, at lower prices. The flavours of Peru meet the vibrancy of Theatreland, where the highly acclaimed menu includes authentic South American dishes – with an emphasis on tantalising ceviche and even tastier prices. The private dining room becomes an intimate seasonal space for smaller groups looking to have a dining-centric Christmas event at a reasonable price. That's not to say drinks aren't also on the cards: the wide array of Peruvian spirits makes for delicious cocktails such as the traditional pisco sour or the imaginatively titled Señor de Sipán, named after an ancient Peruvian mummy. 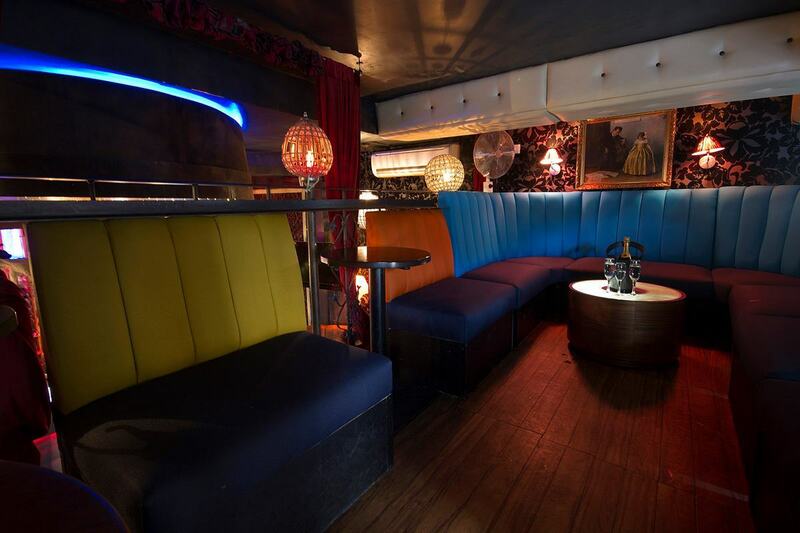 Revellers can congregate in rooms such as the Renaissance Area and the Voodoo Lounge Area – or rent out the entire, three-storey venue – for their boozy festive parties. This Clapham hangout is known for its relaxed atmosphere and generous happy hours – and the Christmas offerings are even more eclectic. Packages start at £9.50 per head, and include cheese and wine, sushi and Prosecco, and signature Extravagant Buffet. Holding up to 250 guests, this popular bar is renowned for its talented mixologists, who dabble with house infused spirits, to make cultural cocktails themed around everything from Shakespeare to Breaking Bad. Christmas party patrons will have a range of drinks deals to choose from, alongside a festive feasting (feastive?) menu from £20 per person. There are also bespoke packages available to add that bit of individuality to your event. New Street Grill occupies the the city’s oldest warehouse built by the East India Company, presenting a modern twist on the traditional British Grill. 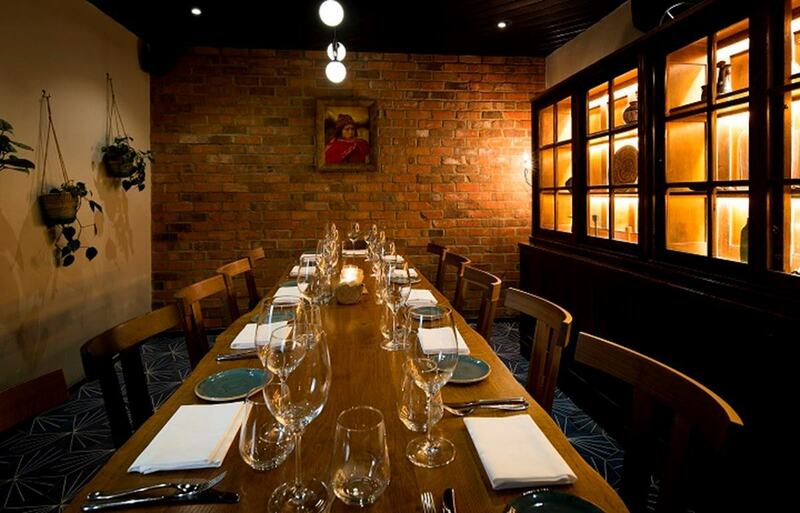 Ideal for group bookings, semi private and private dining and full exclusive use New Street Grill is a really flexible space for a festive shindig. New Street Grill is separated into two areas, creating two spaces ideal for private events, so no matter how big your group, there's a space to celebrate and get into the Christmas spirit with your favourite people. If you are looking for a quirky space to host your dinner or drinks, with a private bar and a secret entrance then look no further. Hidden behind a bookshelf in the BFI, this cosy space is ideal for up to 50 standing or 16 dining. 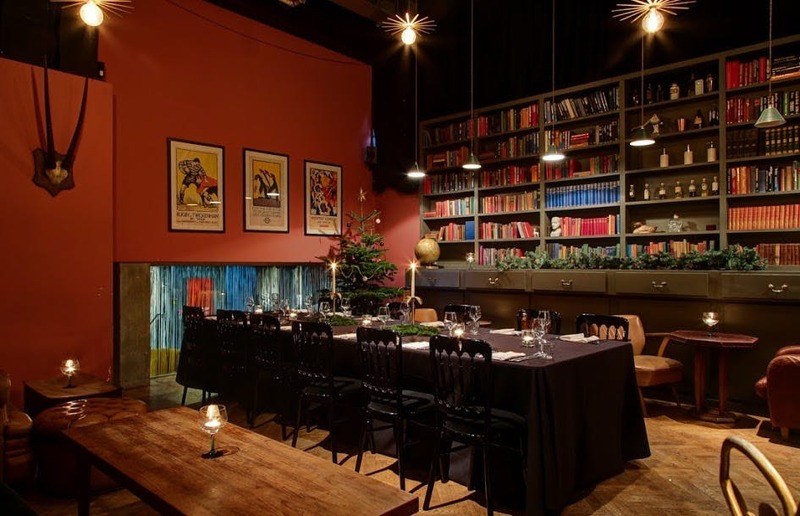 Surrounded by bookshelves filled with old books and trinkets, leather chairs and deep red walls, it's the perfect backdrop for a festive party.